It certainly looks like one doesn’t it. 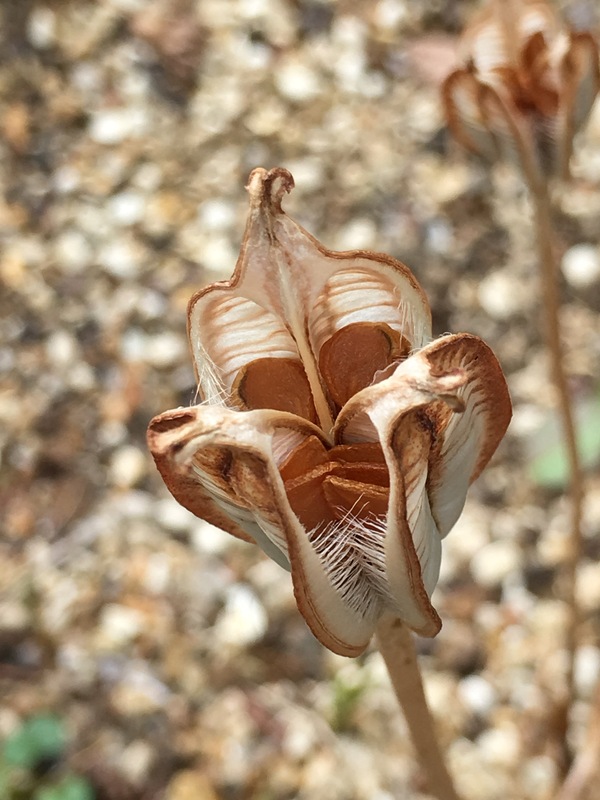 I think it’s a seed head of the Tulipa Sprengeri that’s growing wild in the meadow. Interesting shape. It is so beautiful. thank you. I was on my hands and knees weeding when I spotted it. thank you Laura. I think Seeds are as beautiful as the flowers to be honest. Lovely image; weeding can have many rewards! It looks like a face that’s smiling ‘goodbye’ to November.. Great shot.. Thank you Jo. Oh yes, it does doesn’t it. I hadn’t realised that. I’ve got some huge shiny black peony Lutea seeds in the pottingshed. I just keep turning them over in my hand. They are so beautiful! I love seeds as much as the flowers.